Discussion in 'Cables, Power, Tweaks, Speakers, Accessories (DBT-Free Forum)' started by joedoe, Sep 20, 2015. 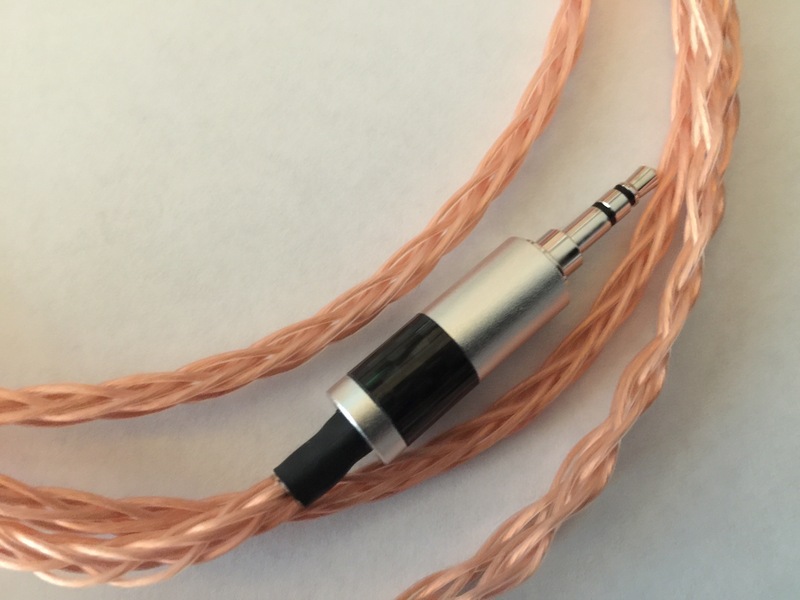 If you're one of the Average Joes like yours truly (pun intended...), who doesn't have buku $$$ to spend on boutique cables for your cans, it's no secret that options are slim. 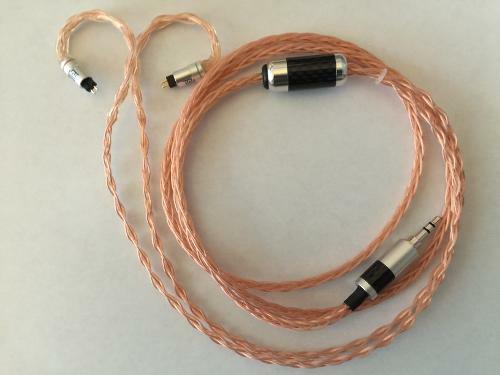 Without going the coin toss route that is Chinese sellers on eBay, there are a few head-fi members or small private ventures that will assemble a decent (yet basic) OFC or SPC cable for you for between $100-200. 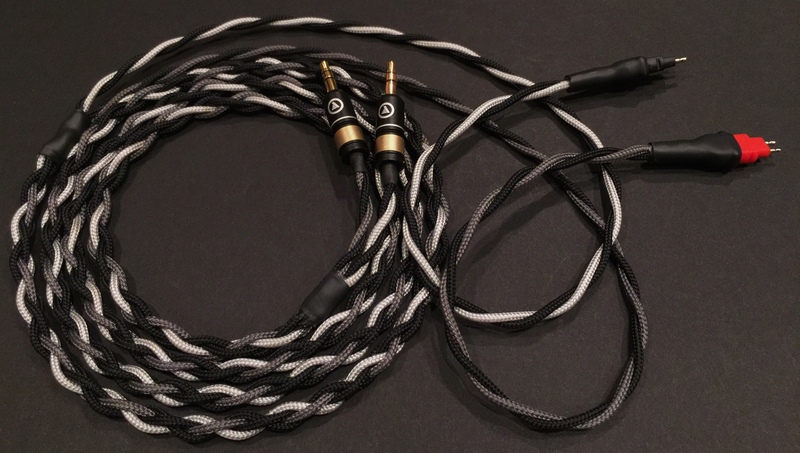 Bear in mind, to stay in this price range, you are most likely getting 5-6' of Mogami or Canare wire in a basic sleeve without any fancy Y-split or plug. The list of vendors who will do a quality job for under $100 is one that I can count on one hand. 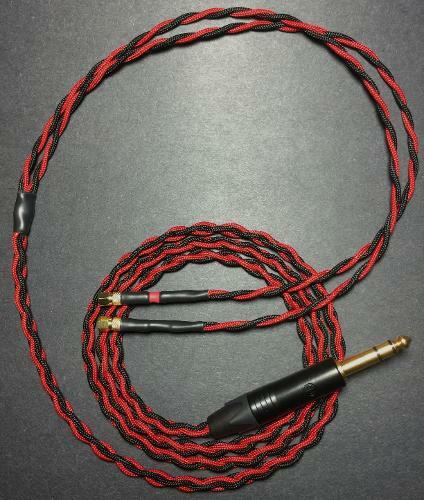 Enter Impact Audio Cables. Impact is a small storefront that can be discovered through Facebook or Etsy and from what I can tell at this point, is all the work of one man doing one order at a time. 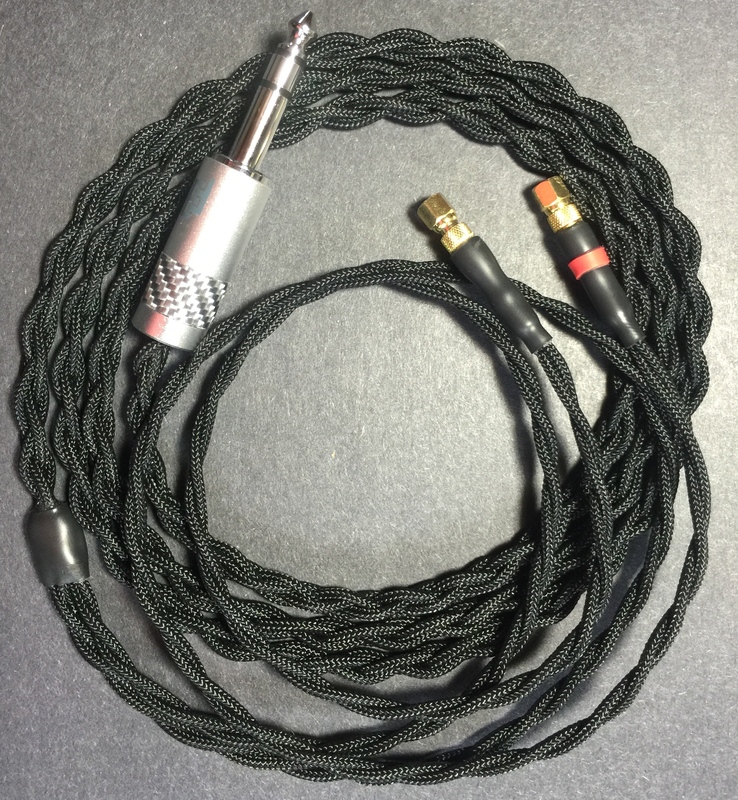 My original order was for a 5' SPC quad braid with Neutrik 6.4mm plug. After offering to write a review for Lindsay, he offered to send a 5' OFC quad braid with Eidolic (woohoo!) plug so I could compare the two for this writeup. MBP running JRMC 20 > ALO Audio Pan Am (NOS Raytheons) > HE500 with fuzzor & grill mods, and FocusPads. Right off the bat. Build quality? Top Notch. The braid is even, yet flexible. 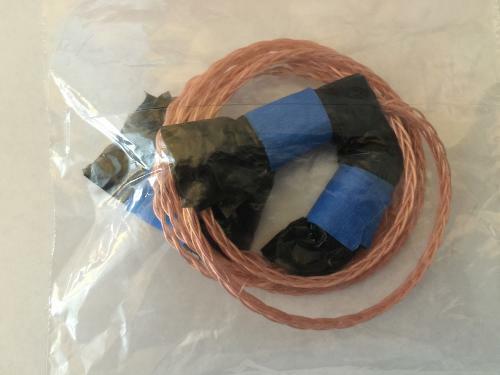 The heatshrink is clean and unobtrusive, and all connections are sturdy without question. After the first cable arrived, I mentioned to Lindsay that he might want to make the heatshrink at the connectors a little shorter so they woudn't mash the cable into a surface if a shorter headphone stand (like mine) was being used. 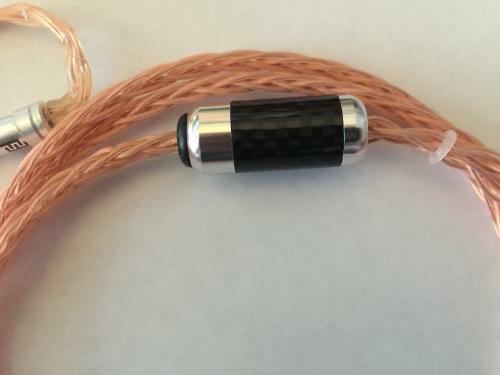 With the second cable came a prepaid shipping label so I could send the cable to him. I didn't ask him to do that! He stated that he wanted to make the best cables he can, and if I thought the heatshrink should be shorter, then that's what he wanted to do! I didn't opt for an 'upgraded' Y-split, even though that's an option. To me spending an extra $8-10 for that purpose ain't worth it. I'm sure however, that if I had opted in, that would've lined up with the high standard of the rest of the construction. In this corner... silver-plated goodness! The SPC didn't surprise at all. And by that I mean that compared to it's all copper counterpart SPC sounded the way the general consensus describes silver: a touch brighter and more extended. Slightly less weight in the low end than the OFC. 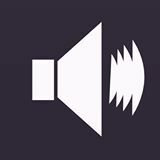 In the pop tunes (Mraz, Winehouse, Legend) the kick drum didn't have quite as much impact. Still clean and textured, and I certainly wouldn't say it was lacking, but I would say after A/Bing the two cables back to back, the SPC was consistently lighter down low. It did however, extend further up top. The violins in the Holst were crystal clear and the nuances and intricate cymbal work in the Snarky Puppy tune were never lost or muddled! So after reading those impressions, you can probably predict what is coming. Copper! Yes, the low end was a little thicker. The low mids also carried more weight. Kick drums a la Snarky and upright bass a la Miles were a little more prominent. The timpani in Holst was easier to hear, but also slightly less articulate. Interestingly, the prominent vocal tracks, Winehouse and Legend especially, split the difference. The female vocals were thicker with copper but cleaner with SPC. So I guess all in all, compared to each other the cables did what you would think. Copper was warmer, silver was cooler. If you're a Hifiman owner with a SS amp, you might want to go the OFC route and if you rock tubes or hybrid design, silver may be for you. Neither cable had a serious leg up on the other. Both sounded quite good and I'd be happy with either! If you're in the market for an upgrade cable that won't break the bank, I highly recommend those made by Lindsay over at Impact Audio Cables. Build quality is excellent, turnaround time is great, looks are stellar, and the builder is more than willing to go above and beyond to meet your needs. Check 'em out people! Disclaimer: I'm not affiliated with IAC, nor was I asked or otherwise externally motivated to write this review. I just figured there were other guys out there who wanted to have their cake and eat it too! 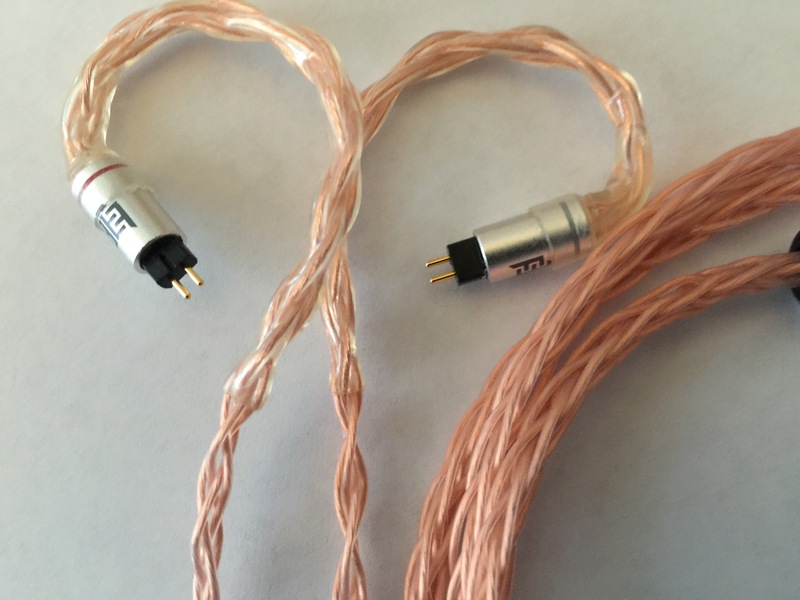 *I certainly am not saying that all other lower-priced cable makers are terrible or low quality. There are many that are quite good. The purpose of this thread, however, was to turn our community on to a new kid on the block who's doing great work at a great price. jerick70 and kehorton like this. will appreciate any direct links where i can contact him...? None I know of besides going to his shop on etsy and contacting him through that. 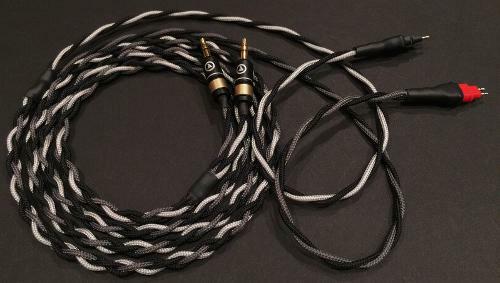 These cables look great and are very reasonably priced but I didn't notice an xlr termination.. I'm sure if you message Lindsday, he'll make whatever you need happen! Just ordered mine for my LCD XC's,what fantastic service from Lindsey,and colour coded to match the wood cups,really looking forward to receiving them. No surprise. L is a gentleman and a scholar! Looks very nice - as does the workmanship. 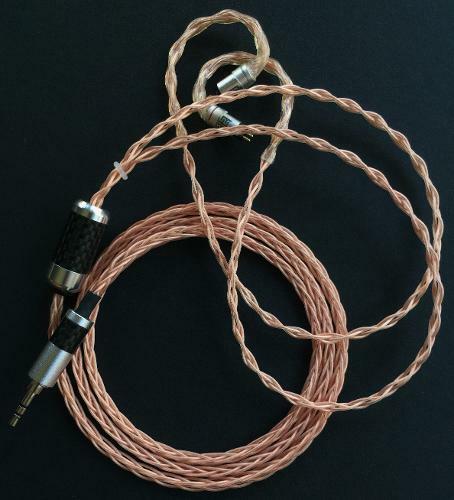 Received my copper IEM cable today - it looks as nice in person as it does in pics - excellent workmanship. Shipped an a box I will re-use and packaged well for the journey from Texas. Should be fun trying this out over the weekend with various IEMs. No Memory Wire. Just curved tubing. Worth the wait (delivered bang on time thanks Lindsey,it was the fat man in the red suit made me wait)and worth every penny/cent/euro (insert local currency). More Bass ,More Atmosphere,More Energetic With Crisp ,Clear Clarity. I was anticipating wedging out Viking sized Bucks to get an improvement like this. Colour coded and hand made to order I couldn't be happier. Just ordered one myself. I like that it has different sleeve colour combination. TH-X00===> gathering dust in the closet!